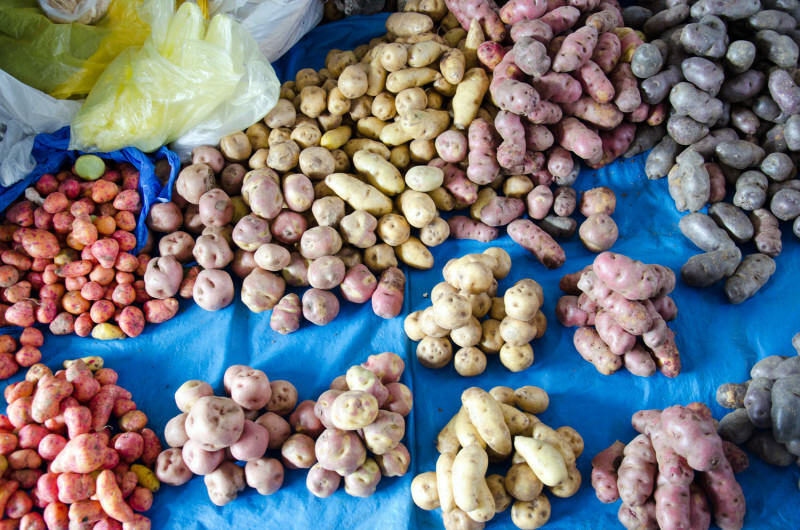 There are roughly 4000 edible varieties of potatoes, or papa, most of them originating in the Andes, the International Potato Institute web site informed me, when I started my preliminary research on Peruvian cuisine. Having a weakness for the tuber – mashed, fried, roasted, stewed, I circled the word “potato” in red ink in my notebook. For five hot years, at least, the world has been engaged in a fixation with South American, and in particular, Peruvian food. 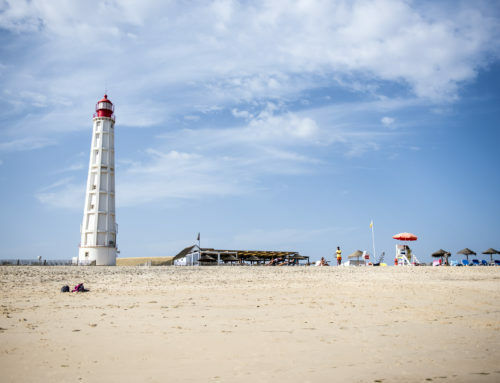 “Exciting”, “exotic”, “universal” – we see the descriptors used liberally. Terms like “New Andean” and “Alpandina” have been slung about. 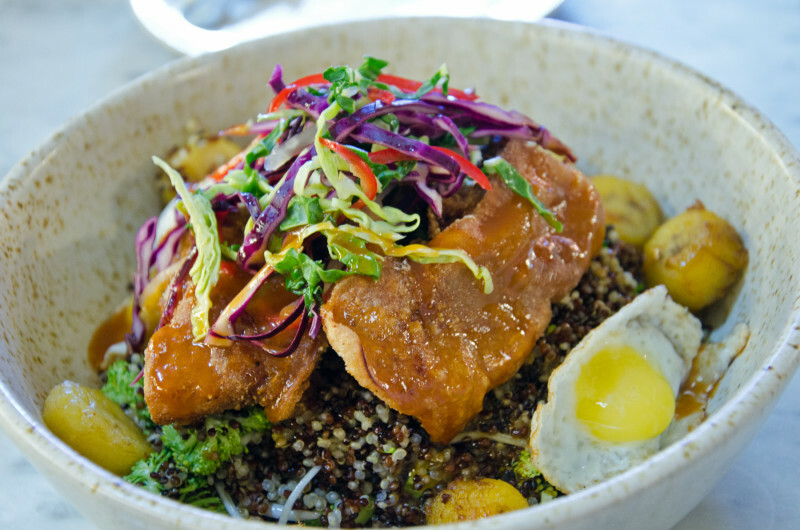 The long-settled immigrant populations inspire chatter about the richly layered Nikkei (Japanese), Chifa (Chinese) and Creole (African) influences on Peruvian food. 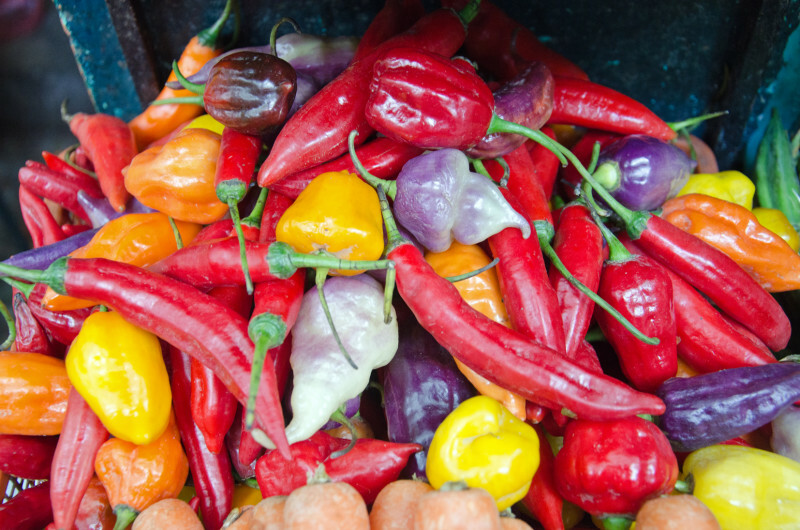 Ferran Adria might have referenced the abundance of Peruvian produce when he famously said: “God has spoken. The future of gastronomy is being cooked up in Peru,” but mine was a stubbornly pertinacious and singular agenda. 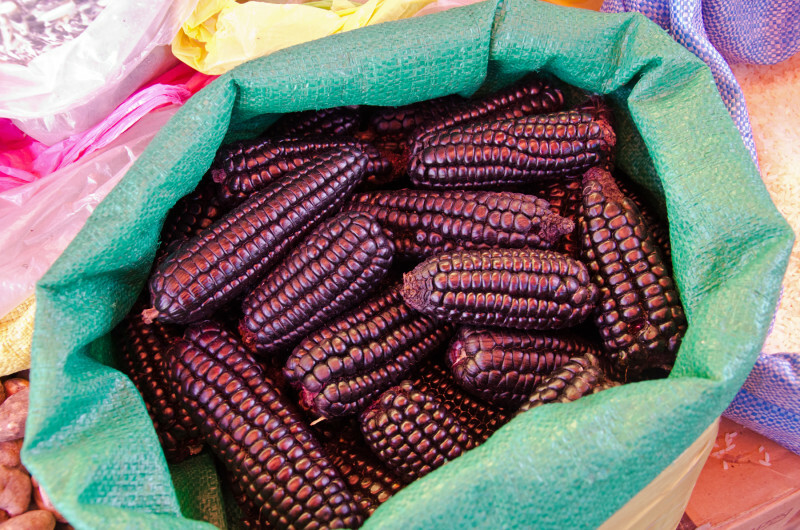 Purple, black, pink, red, yellow – and ranging from the size of a date to a fat aubergine, my mission upon touchdown in Lima was mocked, and comically dubbed “Operation Potato” by friends who knew of my travel plans. “But, the humble spud altered the world’s history,“ I countered, quoting historian William. H. McNeill to own advantage. 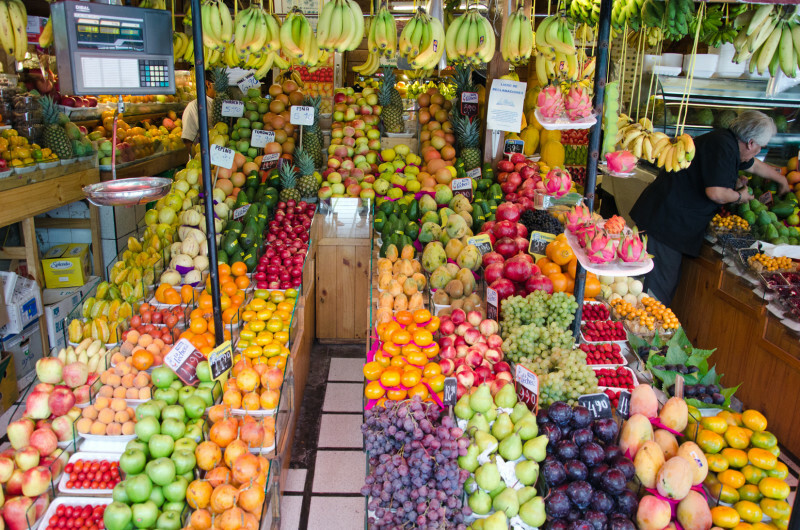 Five doors from our hotel in Miraflores, an organic supermarket beckoned with a graceful finger, welcoming me into the bosom of a pristine produce aisle. And as I hoped, there they were: the potatoes of the Internet, and of my dreams. Far less than four thousand varieties, but so many colours, so many sizes. The modern office blocks and hotels we saw in the first hour in the capital city Lima gave no true indication of our precise geography, but there in that produce aisle, it finally dawned on me that I was in chef-wonder Gastón Acurio’s culinary playground – land of the Incas and alpacas, farmers and fishermen. The sight was my very first taste of Peru. Packed in bushels next to the potatoes (which I touched cautiously – bumpy, waxy, cool) were stacks of short, large-kernelled corn, or choclo. Horse-teeth corn, I thought; our South African mielies paling in the size stakes. And one basket of purple choclo, so dark it shimmered black. “Scary,” replied someone on my Instagram photo. 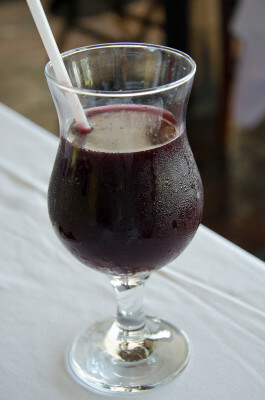 Not when boiled with pineapples and mixed with sugar, cinnamon and cloves to produce the nation’s favourite icy beverage, chicha morada, I was soon to find out. Joined by Joaquin de la Piedra a local philanthropist and owner of Saqra restaurant, we drove a few blocks to his local market just at the juncture where Miraflores sheds its golden threads for somewhat shabby garb. Engaging with the vendors, we tried the unusual though not endemic to Peru, yellow maracuya (passion fruit), that you peel first, sinking your teeth into the spherical membrane that holds the juicy seeds – it’s sweeter than our granadillas, and pacay (ice cream bean) long green pods that contain marshmallowy puffs that taste like candy floss. The fruit and vegetable names took on a mystical quality to my ears – camu camu, tambo, lúcuma, aguaje, añu, maca, yuka, oca. Before the Spanish arrived with sugar and small domestic animals, the Incas ate purely for fuel and to medicate the body, we were told. Eating was an exercise in moderation and spirituality. Today coca leaves, banned outside South America (cocaine is synthesised from the leaves), are still revered as an energy-giving food, and are administered in teas for altitude sickness, headaches and body pains. Peru’s culinary successes are not without challenges. The ancient grain quinoa, consumed worldwide has become too expensive for many locals. Farmers find it more profitable to sell than to feed their own children, de la Piedra told us. If we added cubes of firm white fish, we’d have a plate of ceviche, the lunchtime marinated fish dish associated most commonly with Peru’s gastronomy. 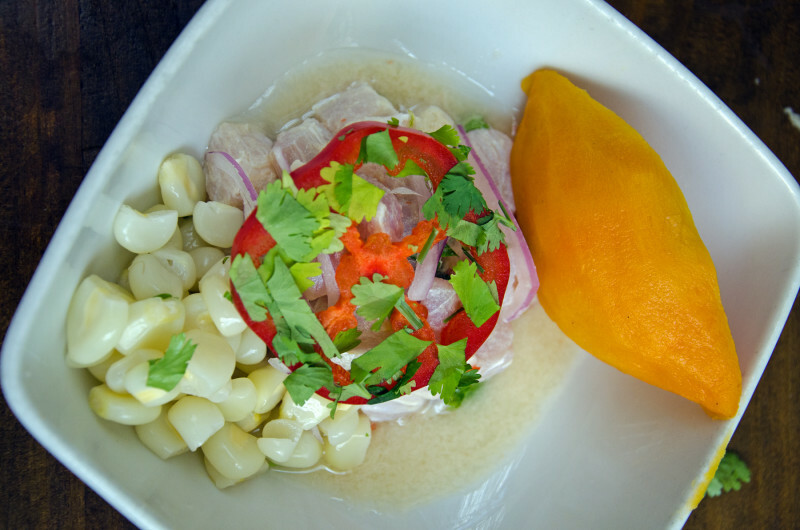 Ceviche appears on global menus today from Chicago to Cape Town, except, the Peruvian version is always served with corn and a slice of sweet potato. The shot of pisco, Peru’s grape brandy, is optional. In Peru it’s unlikely you will be served the dish after three or four pm, because no one can guarantee the freshness of the fish then. 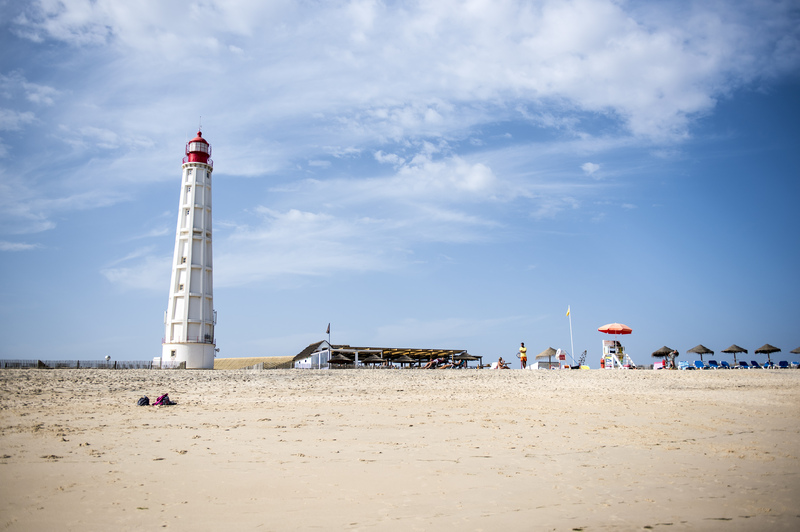 Procuring fish and seafood is a daily endeavour for the restaurants and hauriques – hole-the-wall-diners. 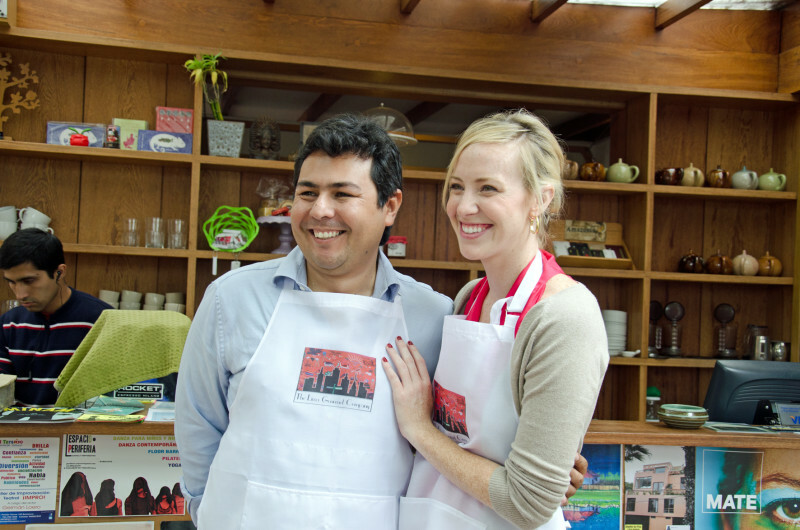 Accompanied by The Lima Gourmet Company food guides Samantha Lewis and her husband, Lima-born Lucas Montes de Oca, I attended a ceviche and pisco-making class where I discovered that the latter pair excellently. 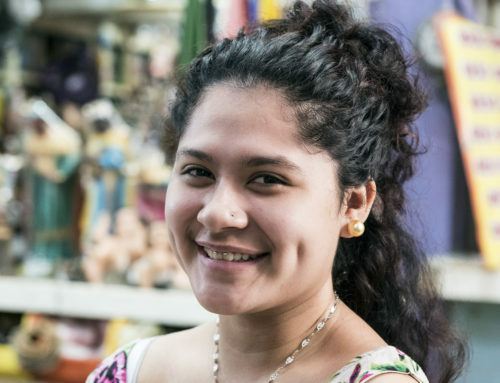 The couple returned to Peru four years ago to contribute towards the economic revival. Up until the ‘90s, I read, Lima was stricken by terrorism and only used by tourists as a launchpad en-route Machu Picchu. “Peruvian chefs are competing with other international cuisines head-to-head,” Montes de Oca shared when I asked about the newfound confidence that has enabled Peru’s recent success. Acurio, they assert, spearheaded this on the culinary front. Today Acurio posts openly on his Facebook page that accepting all the media praise received will not get Peruvian chefs far. This is not the time to rest, he warns. “Gastón Acurio has been one of the principal promoters of positioning Peru’s dishes and produce in the global market,” Lewis added. To Sandra Arce and Alonso Medina who run Peruvian Local Friend, a historical guiding company, Acurio is “King Midas”. “Yes, he is a great chef and his restaurant is one of the best in Latin America. He has been on television for years and has built a restaurant empire. But, he cares. He created an institution for underprivileged young people who could never pay for chef school,“ Medina explained. It is said that there are 80 000 students enrolled in culinary school in Peru as a result of the demand and interest in local cuisine. 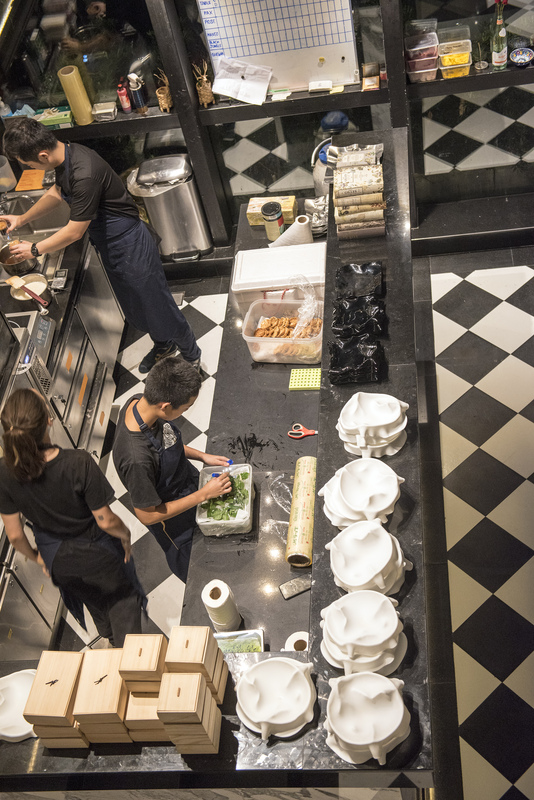 Acurio, together with chefs like Pedro Miguel Schiaffino, Virgilio Martinez and Rafael Osterling have constructed the stage, and the world has arrived to explore. 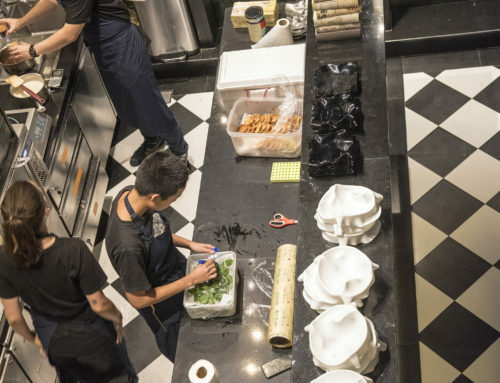 The Acurio-driven annual Mistura food festival in Lima is a showcase for high-end restaurants and street-food carts alike to display their skills. “Many people who have travelled to Peru have experienced what was [once] a rumour and have confirmed it is true: our food is outstanding. And now we believe it too,“ Acre said. Having journeyed through three regions, chasing my own Peruvian potato-dreams, I ate from the pots of grand masters and home cooks, and I too returned, a believer.